1939 Ford Convertible with top - Manufacturer Unknown. 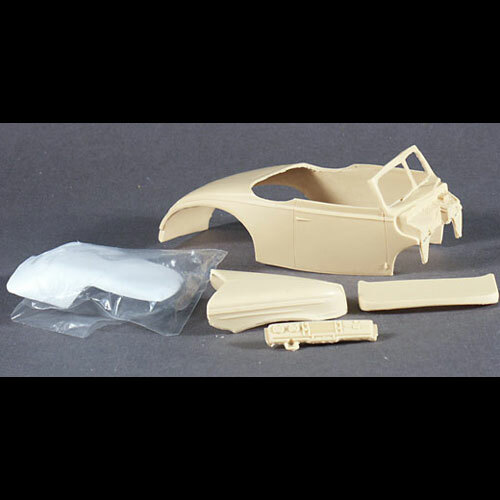 This 1/25 scale resin 1939 Ford convertible body includes the body, hood, dash, boot and a vacuum-formed up-top. 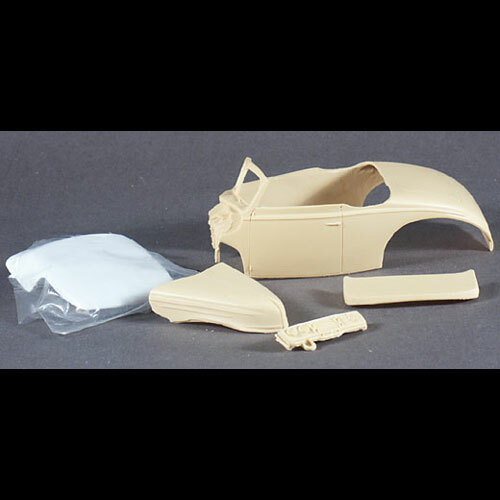 The donor parts can be obtained from an AMT 19-40 or 1939 Ford kit.